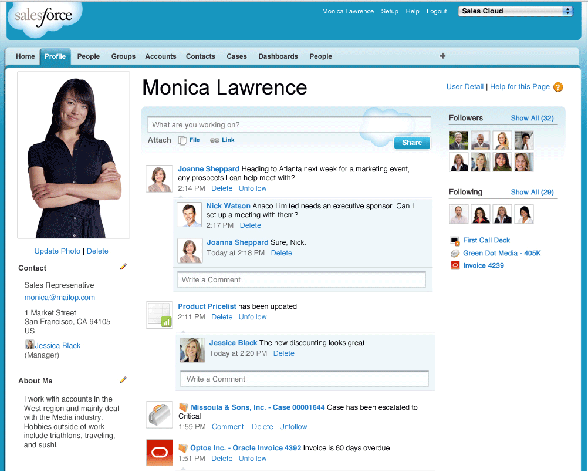 The Sales Cloud is delivered via the Cloud as Software-as-a-Service, allowing users to access the system with an Internet connection. As a cloud deployment, the Sales Cloud requires no additional hardware or software in order to run the solution. The Sales Cloud comes in a several editions to meet the needs of organizations of all sizes and industries. The Sales Cloud delivers up-to-date, complete data—from account information to social insights—and makes it available anywhere at any time. Built on an open architecture and designed to resemble consumer websites like Amazon.com, the Sales Cloud is easy to use and feature-rich. More than 100,000 customers around the world rely on the Sales Cloud to help them close deals and improve collaboration. The Sales Cloud is built with a uncomplicated, consistent, intuitive and robust interface that makes using the solution and finding information a breeze. The Sales Cloud comes with extensive dashboard views—maybe the most extensive compared to other CRM solutions—that come with a large amount of color graphs that easily display CRM data in a variety of ways. 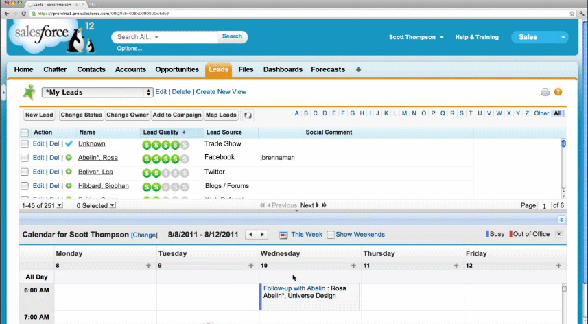 Salesforce.com offers a comprehensive and robust third-party app platform, AppExchange, that delivers a wide range of sales and social enterprise applications built to integrate seamlessly with the solution. 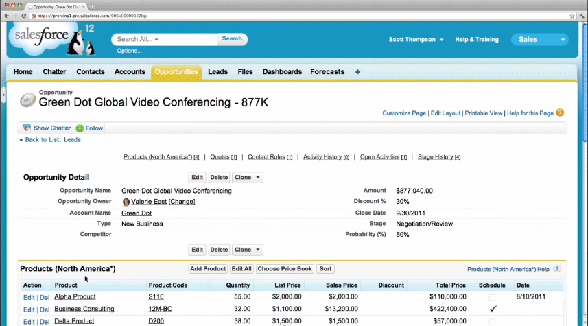 If there is an additional CRM feature needed, the AppExchange probably offers it. The Sales Cloud is built on a robust cloud computing infrastructure with extensive customization capabilities, allowing companies to tailor the solution to their needs. The Marketing features cover only the basics and if more advanced functions are needed, some companies may have to buy a separate marketing module to supplement the solution. Some users complain of poor customer service and long response times for support. Though offered on a tiered pricing structure, pricing can get very expensive, compared to other CRM products with similar features. 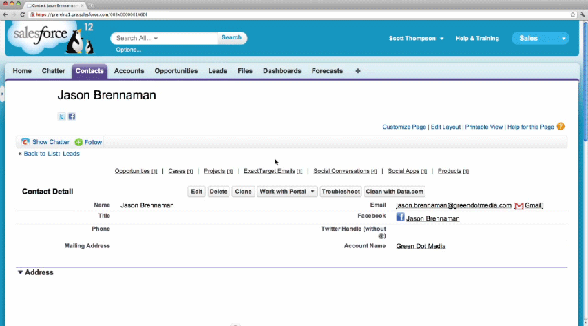 Salesforce.com is the market leader in CRM—and for good reason. Its Sales Cloud solution is simple to use and set up, and leverages advanced functionality for lead and opportunity management—including territory management—to provide sales teams with the tools they need to effectively carry out their jobs. The system’s easy-to-use interface with advanced reporting capabilities ensures quick user adoption rates and visibility into critical CRM areas. 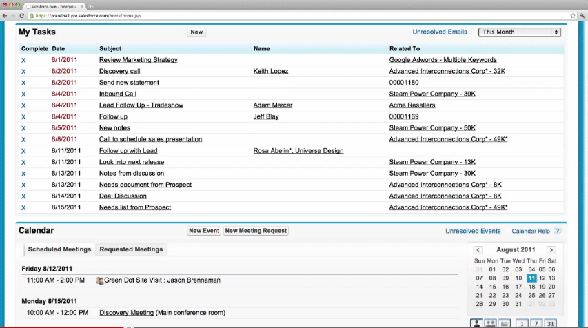 Plus with the AppExchange, companies can easily find any add-ons for the system to answer their every CRM need.